William Arkwright in his The Pointer and his Predecessors, 1906. “To judge a breed by working-type standards involves a deep knowledge of its particular purpose in the canine world, be it to follow a line of scent and tenderly r etrieve game, or to point and set the position of game unseen, or to face and set a fox or badger in his den, or to match the speed and nimbleness of a hare until it escapes from sight. 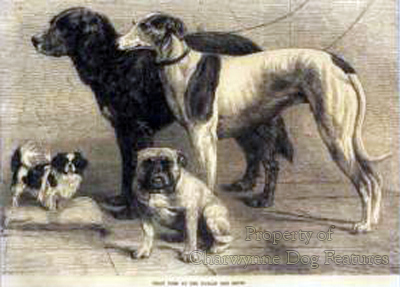 Each of these functions requires and calls for special physical and mental faculties with which the appropriate breed is naturally endowed.”Those wise observations by H. Edwards Clarke in his book The Greyhound of fifty years ago, should be engraved on the thinking of not just sight-hound judges but those who appoint them. Fitness for function may be a new Kennel Club cry but, in the world of the sporting dog, it has always been the ultimate judgement. 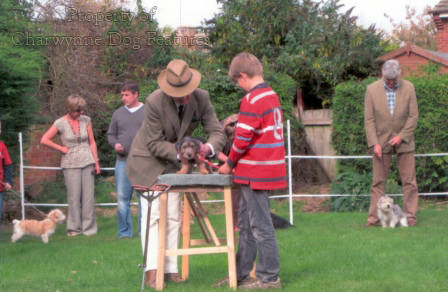 Top quality judging is essential for the sound future of the English dog. 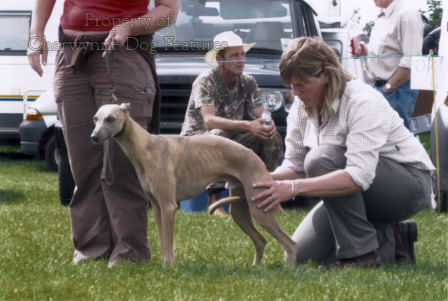 The sight-hound breeds at dog shows are not always the best ‘showers’; most of them resent such immodest blatant exhibitionism, as they might see it, preferring activity and expecting to be judged on performance not pushiness. Judges who know such breeds usually acknowledge this, although many lurcher judges at country shows lack the experience to see past this group-reluctance to perform artificially. 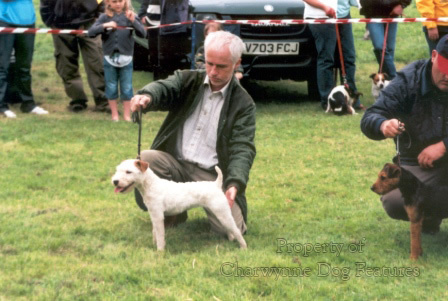 Assessing any breed of dog in a ring is always going to be a combination of judgement, ideally objective, knowledge, and a technique. Sadly far too many judges that I see appear to base their decisions on 'gut-feeling' or by taking a shine to a particular dog on the day, or concentrating on fad breed points. But what do the judges at that most prestigious of shows think of the dogs arrayed before them, dogs which have had to qualify under other KC-approved judges to appear there. 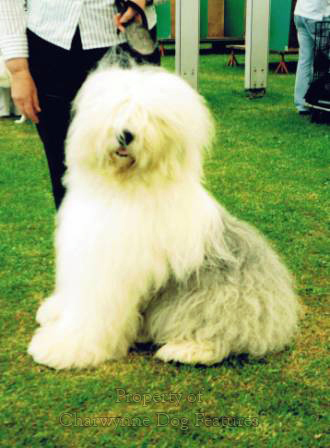 In 2010, the Old English Sheepdog judge at Crufts commented: "...all four top honours went to dogs from or bred in Canada, Germany, Russia and Spain, does this not say something about the breed here in the UK? One or two other things concerned me about this lovely breed, quite a few had light eyes, poor under-jaws, poorer-constructed rears to the point of very little deviation from thigh to hocks...Top-lines in many I found totally wrong..." The Whippet judge at this show concluded: "I am concerned that over-angulated hind-quarters seem to becoming more prevalent, too long from the point of the stifle to the hock. Not only does this spoil the balanced and symmetrical outline but is a serious fault as far as the functional capability of the Whippet is concerned." 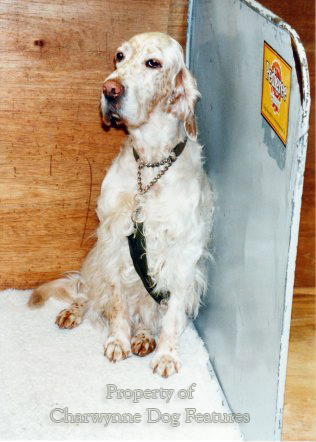 The English Setter judge reported: "I was disappointed to find that there seemed to be a lot of setters with long loins...breeders please take care. I also thought a lot of exhibits were not as well-muscled as they should be, with flabby soft rear ends and no second thigh muscle. An English Setter is a gundog..." For fundamental faults such as these to even appear at such a show tells you a great deal about the knowledge of anatomy of breeders, and indeed in the judges that qualified such flawed dogs for this top show, and this is extremely worrying. 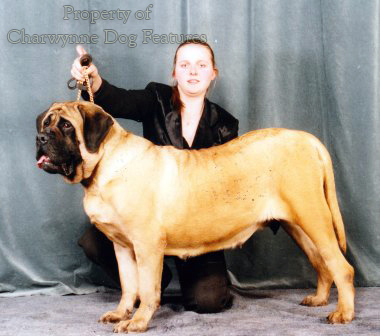 Any pedigree Parson Russell dog which is less than 13" at the shoulder does not meet the requirements of the official KC breed standard. This means that the best working Jack Russell in the whole country could not win in the KC show ring entirely on grounds of size. 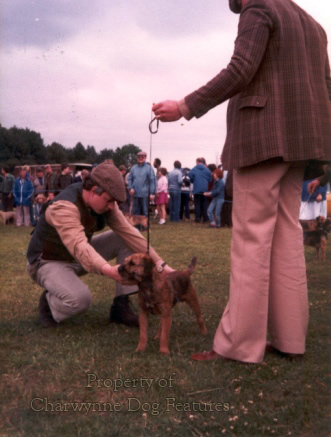 Is that the best way to judge sporting terriers? 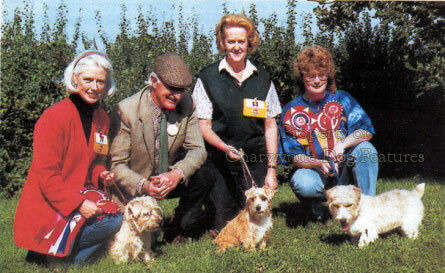 I'm not surprised to read the judge's critique a few years ago from a National Terrier Championship show which stated: "I'd hoped to find more of the West Country original Parson types but sadly, there were few who looked like them. We seem to be moving towards a modern day PJRT which wasn't at all what was intended when the club was revived some ten years ago." Another judge at a different show gave this report: "I was disappointed with the quality of my entry, too many had heavy cheeks, absolutely foreign to the Standard." 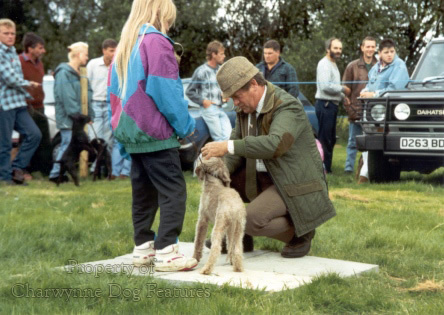 At Crufts a few years back, the Lakeland Terrier judge used these words in his show report: "On the whole the standard of Lakelands at this show were (sic) not of a very high standard, some nice ones, some not so nice, and some absolute rubbish." I do hope those working Lakeland terrier-men who resort to show dog blood occasionally choose wisely! The myth of the association between pedigree and quality is surely finally acknowledged by sportsmen of all styles. At a Scottish KC Championship show a year or so ago, the judge recorded: "When recognition of the PJRT took place I was under the impression that we were going to preserve the look of this old type of working terrier, it now seems that some breeders with no knowledge of, or regard for, the traditional type are determined, with the help of judges with no breed type experience, to change completely the character and look of the breed." That, in comparatively few words, sums up very aptly what happens to terrier breeds in the KC show rings. 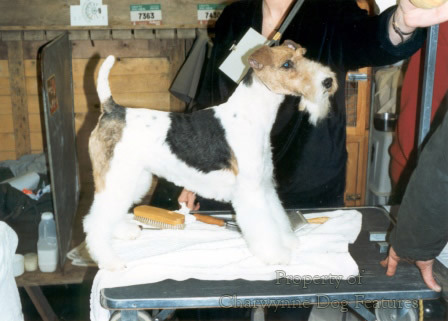 The only reason why we have working terriers to breed from nowadays is that countrymen who were real terrier-men kept their heads over many years and ignored the financial allure of the KC show rings. Of course there are plenty of judges' critiques full of praise for all breeds. But if there are doubts about the quality of the judges as assessors, can such praise withstand scrutiny? The sooner the Kennel Club introduces formal training for dog show judges, with examinations to confirm this training , the better for quality control at our dog shows and, more importantly, for quality assurance in our future pedigree stock. I understand that in Japan, in order to judge one breed, the Shiba Inu, it is necessary to be a member of the breed chapter for five years, a judge's assistant for at least two years, a judge's trainee for at least three years, to attend the judge's course at least twice and pass an examination. Even then an indefinite further period has to be served as an Associate Judge before fully qualifying. Small wonder that the specimens of this breed that I see at shows seem to be a great credit to their breeders, their breed and to their country of origin. Dissatisfaction with the ability of dog show judges is not new, as these words illustrate: "The general public, those who take any interest in dogs, are confident that the actual judging for Best in Show may be a farce. They feel, in the first place, that the person appointed is quite often not qualified to make the decision..." No, these are not the words of an anti-dogshow journalist or a bitter exhibitor with an unplaced entry. They are the words of RH Smythe, a veterinary surgeon who bred, reared and exhibited dogs of almost every known breed, in his much-respected book "Judging Dogs". The fact that it was written fifty years ago gives it even more validity, for few would disagree that dog show judges were far better then. 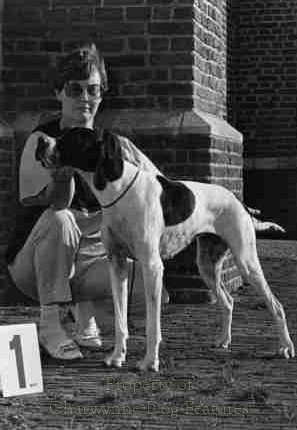 Considerable concern was expressed in 1993 when a judge was approved by the Kennel Club as being authorised by them to judge every single breed for which KC challenge certificates were then on offer, i.e. 137 different breeds. A number of distinguished breed specialists have expressed worries over whether one person could, with the competence needed, judge across such a wide variety of size, shape, texture of coat, colour, head, gait and breed idiosyncrasies. 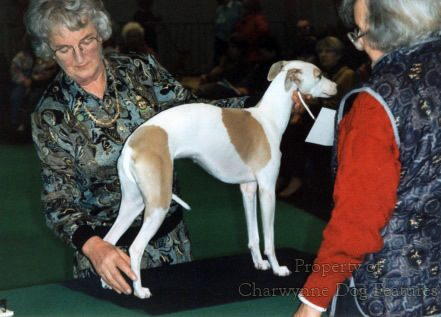 How many hound-show judges would be happy to judge toy breeds? How many lurcher and terrier judges would feel competent to judge bulldogs and bloodhounds? Would a gundog field trial judge be approved to officiate at a sheepdog trial? This is not the way to induce confidence in dog show judges. 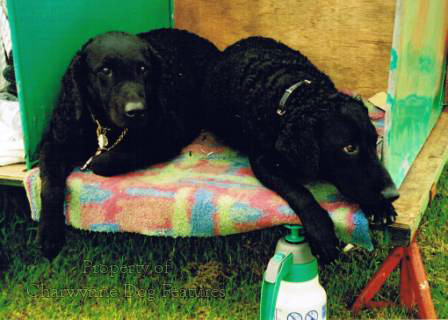 In the October 1994 issue of the Kennel Gazette, the house-magazine of the KC, an executive of the Kennel Club, rather strangely, wrote: "Why do the adherents of our sport (sic) want to judge?...Perhaps those seeking these positions should examine their motives...But surely the whole show scene is basically dedicated to the improvement of dogs, the best stock for the future of breeds being identified by competent, adequately trained and selected judges. Is their motivation linked to the improvement of dogs? That is the question that must be asked." Surely that is a question the Kennel Club must ask itself! Do they not realise that they are in charge? What are their plans for producing "competent and adequately trained judges"? The Kennel Club once approved 738 new judges in one year, solely on recommendation. Is this really the best way to improve dogs and ensure that the best stock is identified for future breeding programmes? It is abundantly clear from the critiques of the Crufts judges themselves that poor quality dogs are qualifying for that top event. It is equally clear that behind the glitz and glamour of Crufts itself lies a sham: unqualified judges pompously deliberating over unimpressive exhibits. 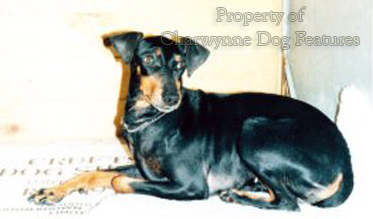 How on earth can such a situation possibly contribute to the improvement of pedigree dogs? The man in the street is being misled and television journalists are promoting that deceit. As our knowledgeable ancestors decreed; searching, far more demanding examinations for judges are urgently needed and mandatory basic training simply must be introduced before any tyro-judge is let loose. 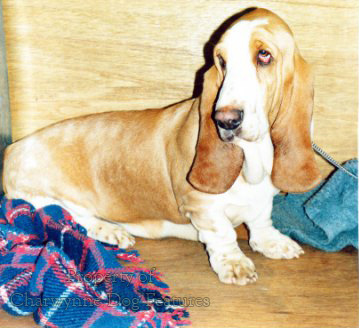 It is not unknown for a Crufts winner to sire 100 litters, perhaps 500 pups. If the comments of last year's Crufts judges are anything to go by, don't touch one with a barge pole. At least the quality of the dog food goes up every year! Herbert Compton writing in his The Twentieth Century Dog, Grant Richards, 1904.
from ‘Things we want to know’, The British Fancier, February, 1892. From Dogs: Their Points, Whims, Instincts and Peculiarities, edited by Henry Webb, published by Dean & Son, 1883.